Former Finnish premier Alexander Stubb was considered an underdog going up against current European People’s Party head Manfred Weber. 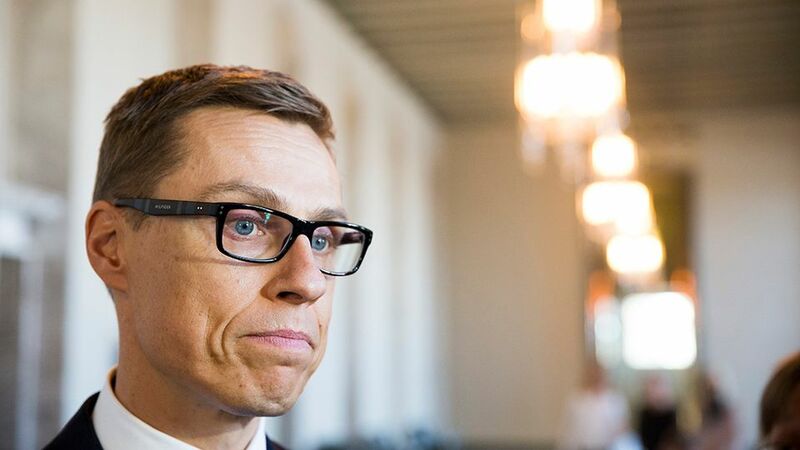 Ex-premier Alexander Stubb lost his bid for nomination as the centre-right European People’s Party candidate to lead the European Commission during a group congress in Helsinki on Thursday. Just before 2.00pm Manfred Weber was announced as the bloc's Spitzenkandidat for the post of European Commission President, having won 492 of the 621 votes cast in the poll. Just two votes were deemed to be invalid. The EPP is the largest and most influential bloc in the European Parliament and currently heads three important EU organs – the EU Commission led by Jean-Claude Juncker, the Parliament and the Council of Europe. Altogether eight EU heads of state and government are members of the EPP. In October, Stubb announced his bid to challenge German politician Weber – currently the head of the EPP group in the European Parliament and an overwhelming advance favourite to clinch the nomination. Weber enjoyed the support of German Chancellor Angel Merkel as well as the backing of other party leaders in the group, Yle Brussels correspondent Susanna Turunen said on Wednesday. She added that Stubb was seen as too liberal by Europarliamentarians voting for an EPP nominee for the highest position in the regional bloc. Over the years, some conservative parties in Europe have moved in a more liberal and global direction, embracing causes such as the environment. However others have adopted more nationalistic and socially conservative values in states such as Hungary, Poland and Germany. Although some 734 EPP members had the right to vote for a candidate during the two-day congress, Stubb’s chances of prevailing over Weber were seen as minimal, Turunen noted. Stubb, 50, is currently vice-president of the European Investment Bank. He was chair of Finland’s conservative National Coalition Party, finance minister, foreign minister and prime minister. However he held the premiership for less than a year before being ousted as party chair in a leadership challenge by Petteri Orpo, who is now finance minister and deputy PM. Meanwhile during his address to the congress, Orpo called for more ambitious emissions targets in the EU. "We should set the EU Climate Policy Headline Target to 50 percent instead of 40 percent. We should add sustainable development budgeting to the EU budget as well," Orpo declared. The Finnish conservative leader also pointed to the importance of NATO and EU defence cooperation, citing hybrid threats, terrorist attacks and the crisis in Ukraine. Orpo also said that Europe can only compete with the rest of the world if it stands together.